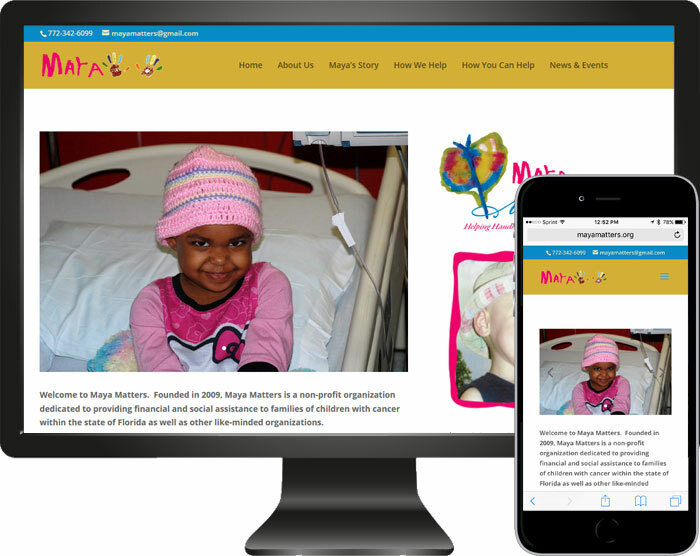 Maya Matters is a non-profit organization dedicated to providing financial and social assistance to families of children with cancer within the state of Florida. Founder Cara Pettit, needed the old website redesigned. We recreated their website that meet the organizations needs. The website was built on a CMS platform for easy updates, an email opt in was incorporated on the home page that works in conjunction with MailChimp, now Maya Matters can send email updates to their subscribers. The site is also phone and tablet friendly!